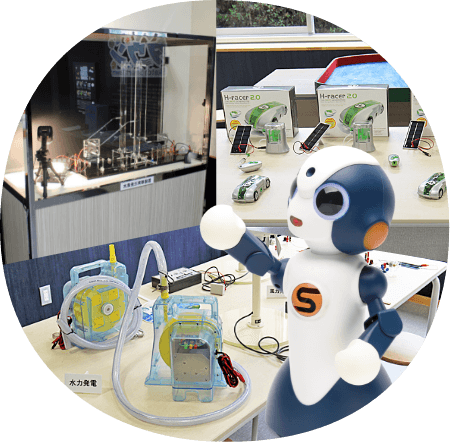 Explore the exhibition of futuristic objects like digital art, robots and more! Kawaguchi Dam is located on the Naka River (primary flow channel: 125km, contributory area 880sq. kilometers), the second major river in Tokushima. 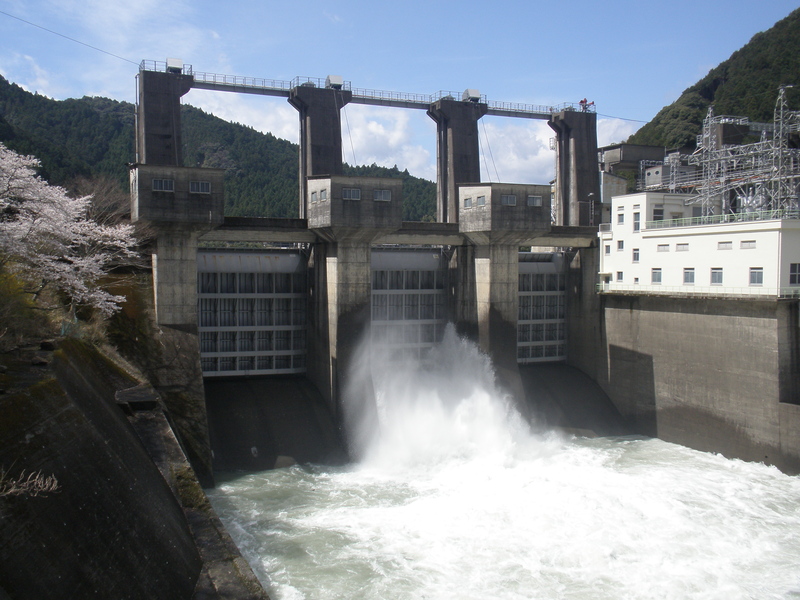 Sakashu Power Plant (Ottachi Dam), Hinotani Power Plant (Nagayasuguchi Dam), and Kawaguchi Power Plant (Kawaguchi Dam) were built in conjunction with the integrated river development implemented for flood control and water utilization. 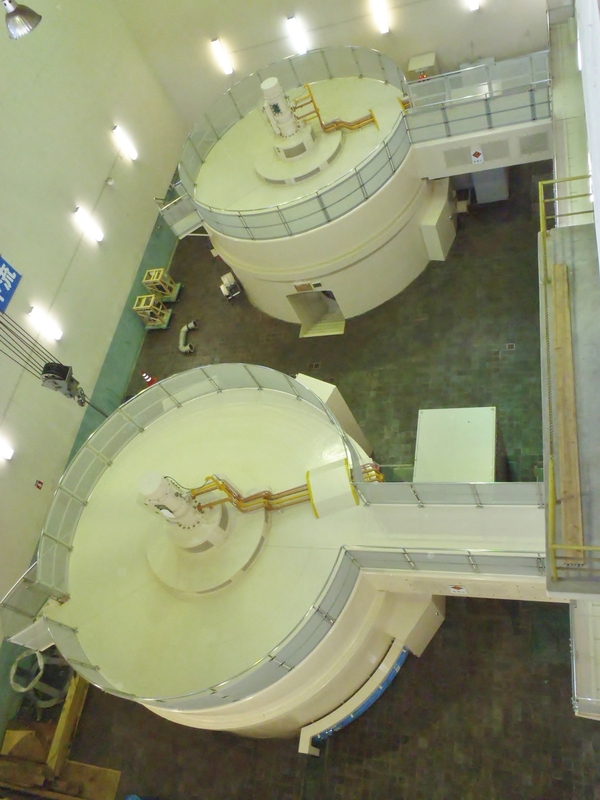 When Hinotani Power Plant hits peak power generation, the volume of water used for generating power fluctuates depending on how much power is generated. Kawaguchi Dam was built as a regulating reservoir to alleviate the flow fluctuation at the lower reach. The effective capacity of the reservoir is 950,000 cubic meters and the water level is adjusted between EL93.50 meters and 95.00 meters. 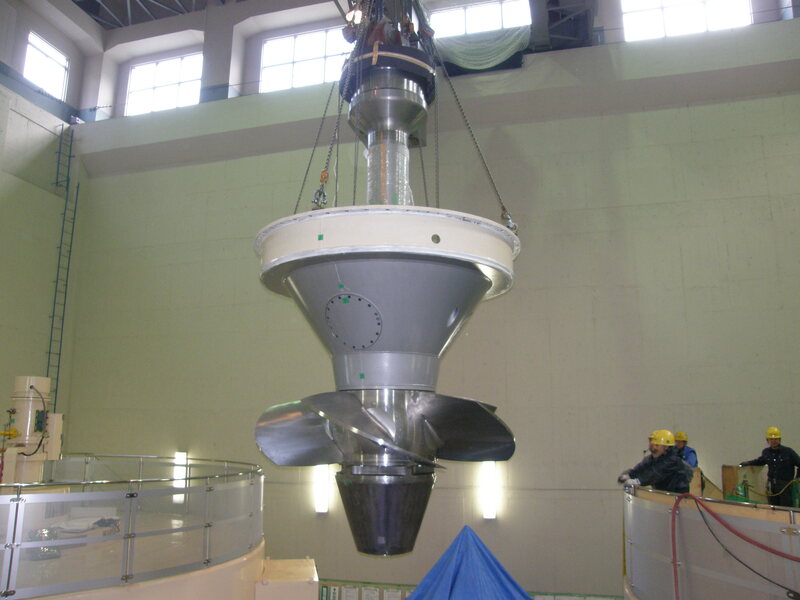 Water power generates electricity by utilizing the force of falling water turning a water turbine directly connected to the generator. This form of natural energy is beneficial since it uses the naturally created force of water instead of CO2 and waste-producing fossil fuels. 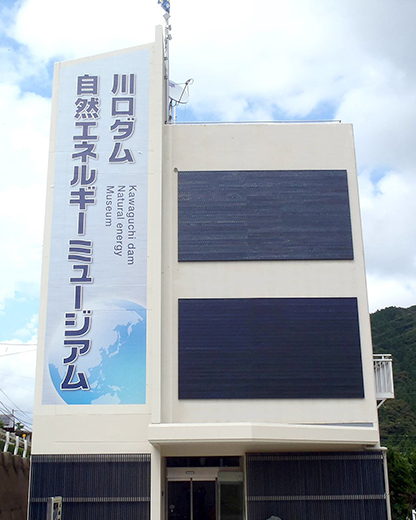 Kawaguchi Dam produces hydroelectric power at 11,700 kilowatts of power per second per 70 tons of water used. 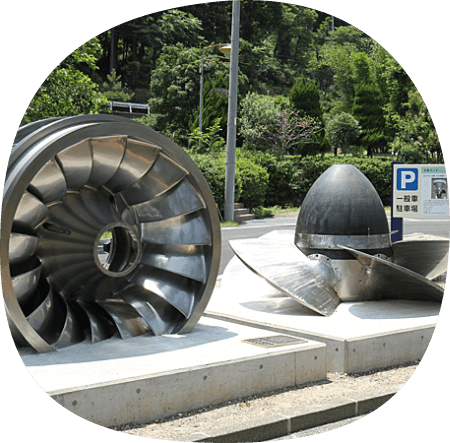 A Kaplan turbine (witch has adjustable blades) is used at Kawaguchi Dam to allow for adjustments in correspondence volume fluctuations. 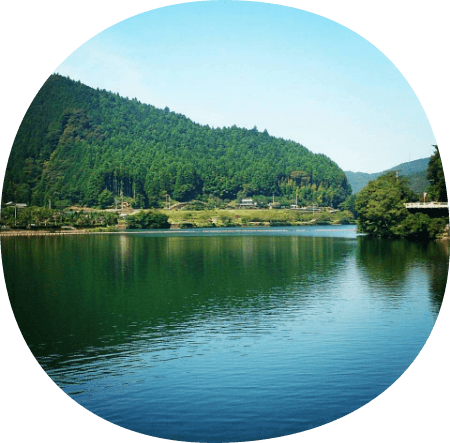 Smart Kairo (Smart Corridor) is collection of the surrounding area and facilities of Kawaguchi Dam Lake.